Autumn has arrived here in Norway, and when the rain pours down it is nice to curl up on the couch under a blanket. Maybe accompanied with a cup of tea and some cardamom macarons? 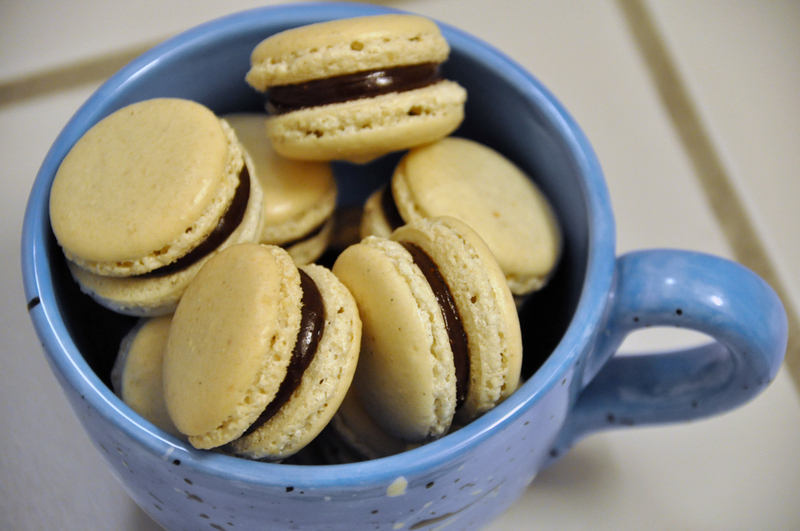 For me, spices are favorites in autumn, but these macarons are fairly mild and with a delicious, rich chocolate taste. Follow the base recipe making the macarons. Add cardamom to the mixture, while beating the egg whites. Bake and cool the macarons. Combine chocolate and cream in a small pan. Heat the mixture on low heat until the chocolate has melted. Remove the pan from the heat and add butter and cardamom. Mix together and leave to cool.